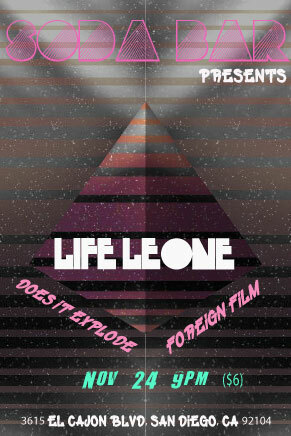 Does It Explode is playing with Life Leone and Foreign Film tonight at the Soda Bar in San Diego. We (Does It Explode) go on at 9:15pm. This entry was posted in Blogroll and tagged does it explode, female-fronted rock band, post-punk, punk, punk rock, rock, san diego music. Bookmark the permalink.